My review on Iunik Beta Glucan Daily Moisture Cream. It's hard to find the review of this product and mostly are in Korean language. I've used this for almost a month and finished it already. I bought this because the ingredient list seems good and it's in a tube packaging. I bought mine for RM60. 1. Beta-glucan: One of the best ingredient to reduce redness and skin sensitivity. It has anti-oxidant and skin soothing properties. However, be careful if you have fungal acne. 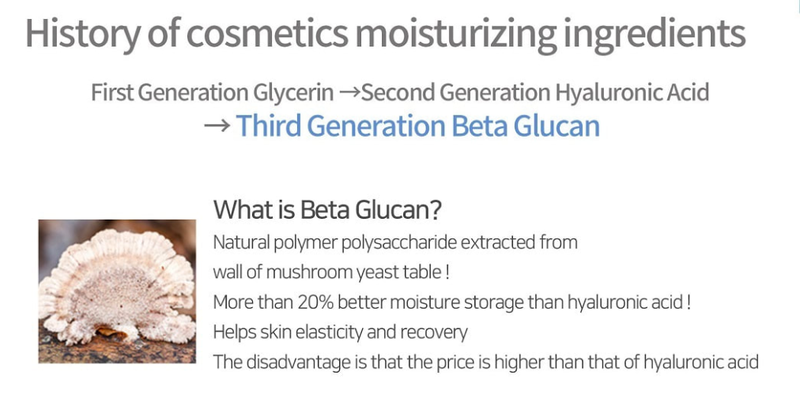 because it it derived from yeast, boleh trigger acne yang lagi teruk kalau ada fungal acne. 2. Niacinamide - One of my fav ingredient for glowing, brightening and reduce the appearance of pores. It comes in a white opaque tube packaging with a blue flip top lid. 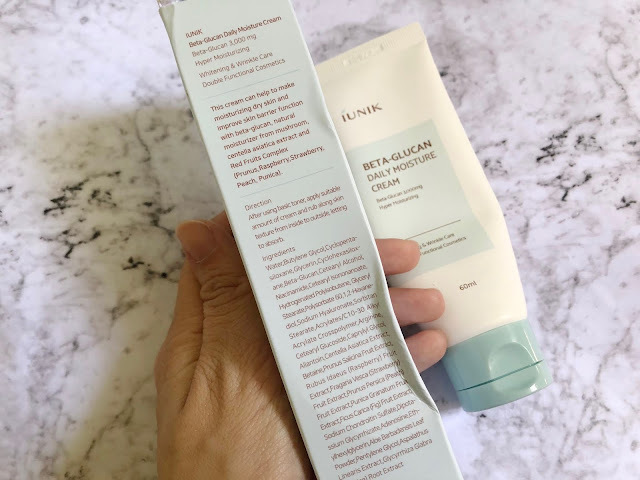 This is the best packaging for a moisturizer since the anti-oxidant is protected and keeping them stable, unlike jar packaging. The texture is lightweight creamy type. It's not thick but took a few sec to absorbs nicely into my skin. It didn't leave any greasy feeling. 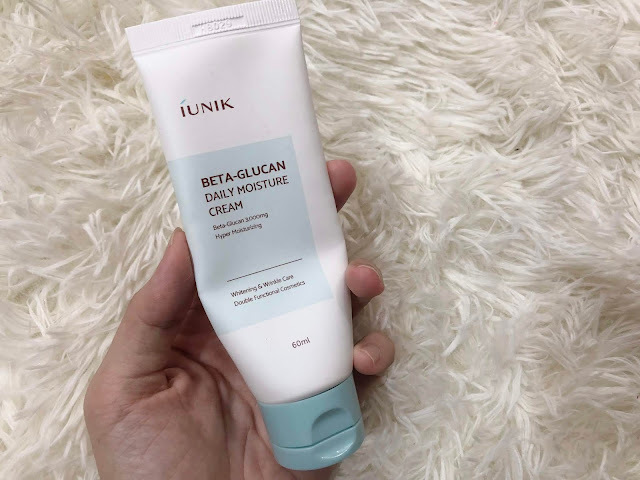 I use this as a moisturizer lah kan since it's a moisture cream. So after toner/essence/serum etc, I apply this onto my skin, morning and night. 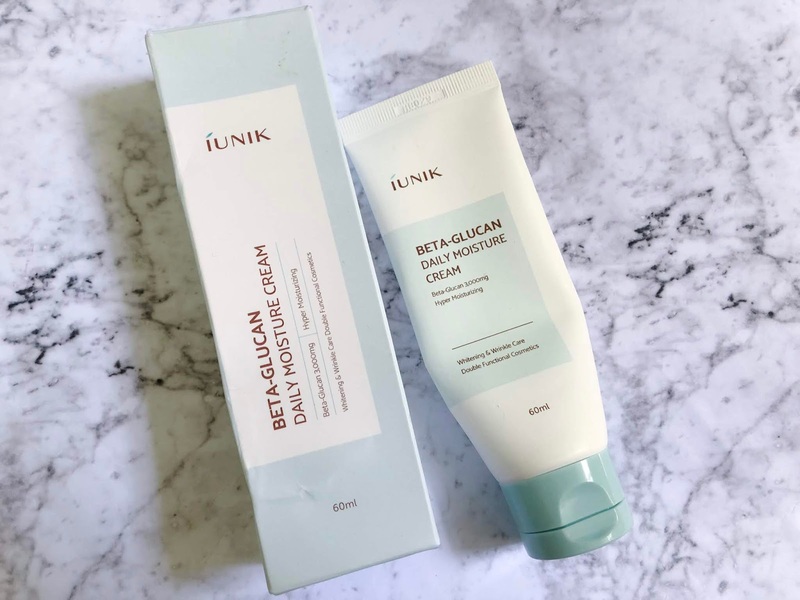 The problem with this cream is firstly, if I apply sikit, I rasa not enough. Kejap je kulit rasa dry balik. Kalau I apply banyak, kulit jadi greasy and lambat nak absorb. So I kena apply layer by layer and terpaksa guna banyak daripada biasa. So kejap je dah habis. And, the size is really deceiving. I ingatkan banyak. Tapi bila guna, cepat gila habis! You seeeee?! 60ml macam Huxley 120ml. Padahal half! Mentang mentang tak nampak dalam dia sebab opaque, sebenarnya sikit je! 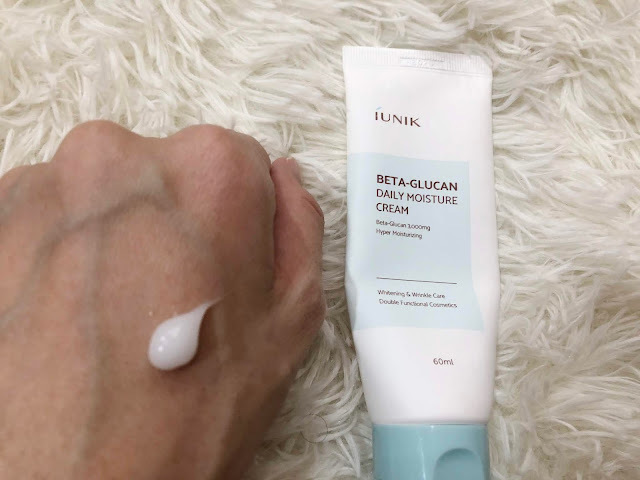 So, for my dry skin, guna sikit je rasa not enough. The texture is nice, very smooth and lightweight. 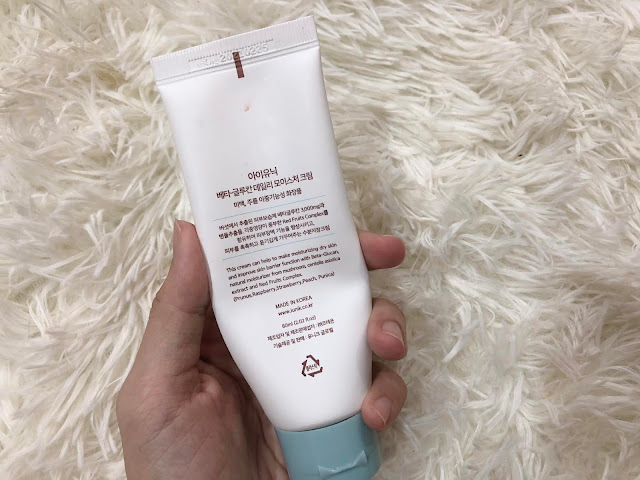 I think this cream is suitable for normal-combination skin. 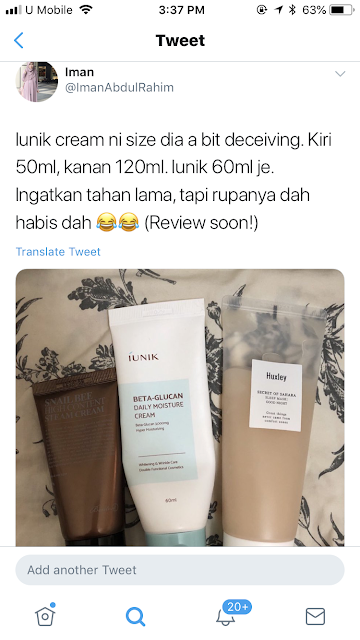 Kalau oily skin, pakai sikit sikit pun okay kot. Dry skin like me, maybe rasa not enough kot. In terms of brightening and soothing, yes I can see some improvement. 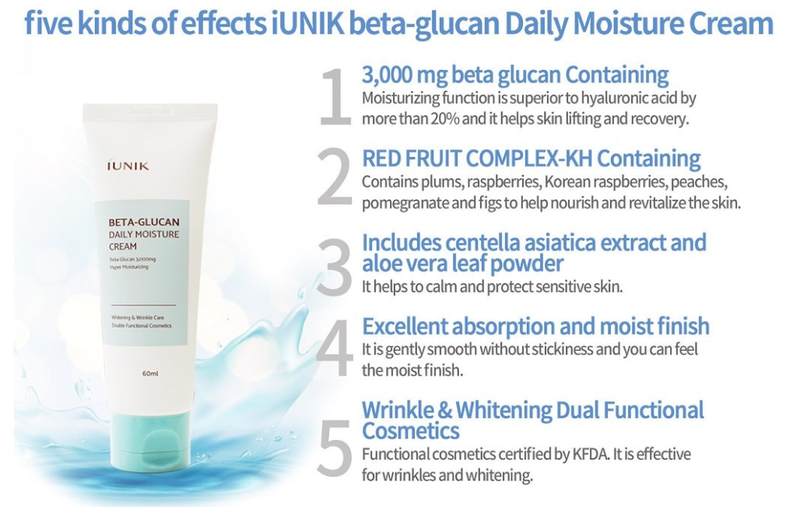 Smoother skin, rasa soothing, less redness, maybe a bit brightening effect. 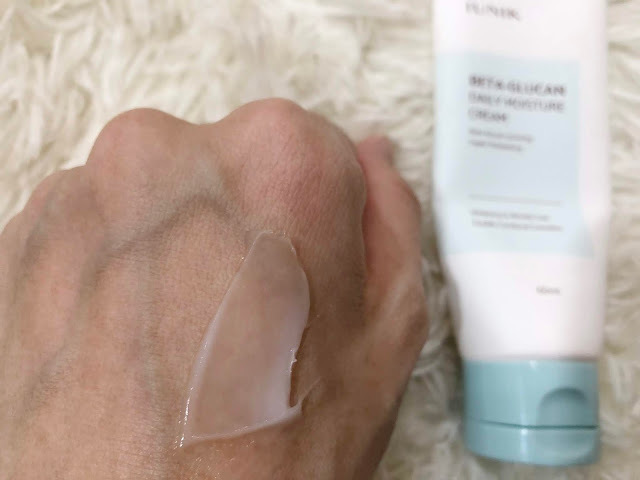 It has no alcohol, no fragrance, suitable for sensitive skin. It didn't break me out, takde rasa pedih, irritated, takde. Semua besttt! If you have normal-combination skin, redness, wants something for soothing and brightening, this is for you! I really like the texture, the scent, the feeling on my skin. 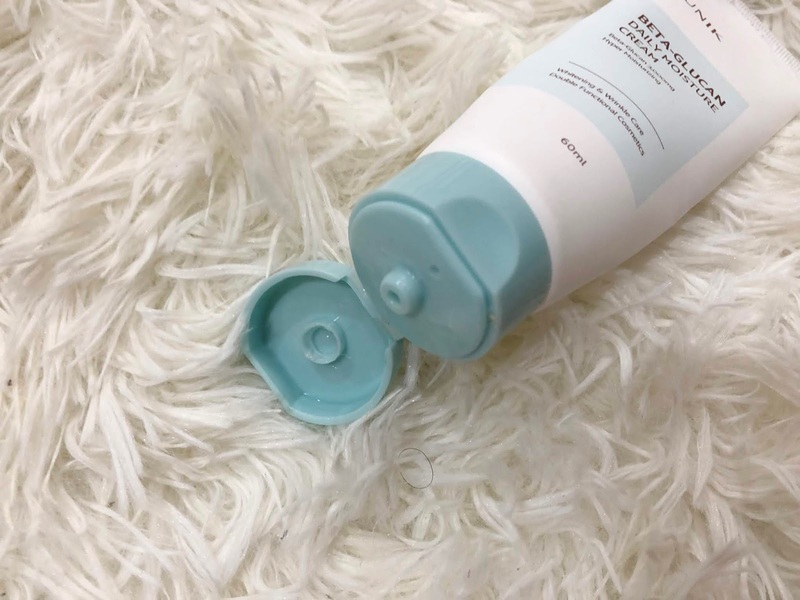 Skincare 101: How to choose a facial cleanser?